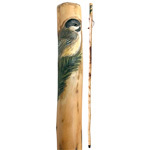 Hand carved and painted wooden walking sticks will make a unique addition to your store. 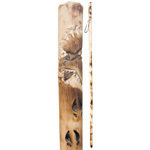 Promote healthy living for both men and women alike. 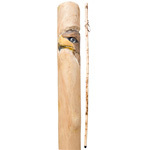 The top of each stick is decorated with popular Canadian animals and birds, these are a perfect items to add to Canadian souvenirs, natural gifts and outdoors displays. 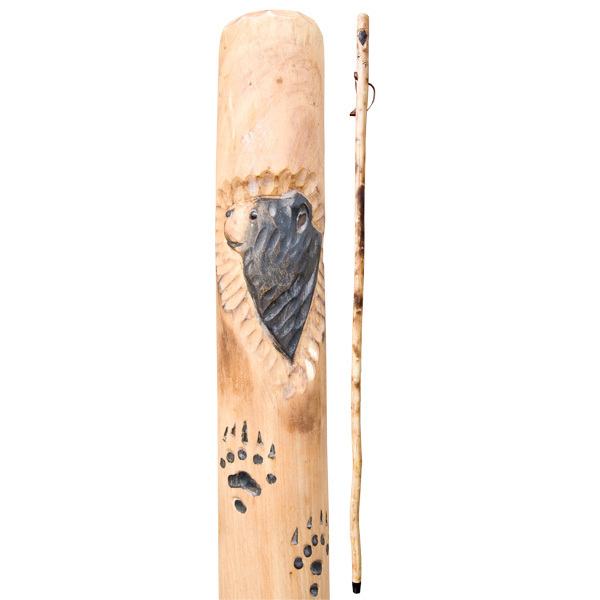 Every handmade walking stick is unique, when carved with this bear and paw motif, it is sure to please. 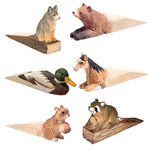 Bears are known for everything from being cuddly and playful to stoic and strong. 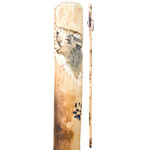 In the spirit kingdom the bear is emblematic of grounding forces and strength. All in all, the bear is a magnificent creature to be respected.